It happens the same at work. Reducing the risks of illness is only one of the reasons why to properly keep the office clean. It takes even more importance when the work performance involves the use of chemicals or substances that, when they aren’t properly cleaned, can damage materials and involve risks. Luckily, the best cleaning companies in Mandurah offer industrial cleaning services and count with the best cleaning products and cleaning chemicals, obtaining great results. Knowing the importance of a clean home, do not hesitate and get in contact with the best cleaning companies in Mandurah. At Infoisinfo we always work hard to be able to provide you with the most useful information possible so that you can easily find the best products and services for you or your company in Mandurah. We know how important it is for you to keep your home and workplace clean, so we want to help you find quality cleaning services. 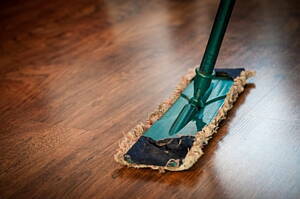 Therefore, we have prepared a list of the best cleaning companies in Mandurah for you to choose from. Unit 2, 1 Commercial Rd, Mandurah. Mandurah. WA, 6210. Wuraling Pass, Bouvard, WA,6211, Bouvard. Mandurah. WA. 23 Gibson St, Mandurah, WA,6210, Mandurah. Mandurah. WA. 101 Pinjarra Rd, Mandurah, WA,6210, Mandurah. Mandurah. WA. 16 Lutea Rd, Lutea Rd, Mandurah. Mandurah. WA, 6210. From suede to silk. We make it easy cleaning curtains and drapery while they hanging.